Eating the right food, following healthy practices, and getting things right - the untold truth about increasing your lifespan. Have you ever had one of those moments where you just want to live forever? Yes, life is short – but not too short, right? Immortality is not something that you can achieve – but if you follow the gems that we’ve mentioned below, you are bound to live a little longer. Let’s get it to, then. Okay, I know that, at times, life is a little too much to handle – but that doesn’t mean that you don’t appreciate all the tiny moments of joy. Which is what makes you want to live longer. Without further ado, let’s take a look at 7 secrets to living longer. But first, let me warn you that the first few are the most common ones that you hear/read. I would urge you to read on if you truly want to live longer. Your diet matters – a lot: While conducting studies on how people manage to live long, the first thing that researchers look at is: what centenarians eat. Looking at the oldest people alive – it’s clear that they followed either a traditional Japanese or Mediterranean diet. These diets have been linked to people living longer and reducing chronic diseases. If you can’t believe your eyes, take a look at how a traditional Japanese diet and a Mediterranean diet help you live longer. Staying in school: According to a study conducted by the CDC’s National Center for Health Statistics, it was found the people who have a bachelor’s degree or higher live 9 years longer than those who don’t graduate high school. According to the University of Missouri System, it was also found that since higher education results in people living a higher quality of life – they tend to live longer. Hara Hachi Bu: This term is derived from Confucian teaching that states that you shouldn’t continue eating until we’re completely full, but only eat up to 80% of our full capacity. I can give you a solid reason as to why you should follow Ikigai. 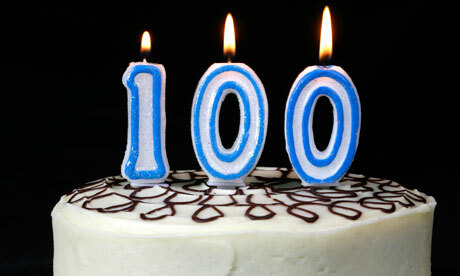 Most of the centenarians are from Japan. which makes it a very good, solid, and legit reason as to why you should follow it. Develop good social ties with a healthy community: Maintaining good, and healthy social ties help in increasing your lifespan by almost 50%. Don’t be afraid to innovate. Be different: There’s nothing wrong in wanting to live a healthy lifestyle. All that you have to do, is make sure that you don’t end up following the pack. Be different, skip out on that plate of those delicious fries – try a salad instead. Skip those milkshakes and try drinks with high nutritional values like matcha. Or anything else that’s healthy. Don’t eat something that everyone else is. Be honest and dependable: At the end of it, things are all up to you. How you take care of yourself is what matters. You need to ensure that you follow a healthy lifestyle. I can bet that things aren’t going to be easy in the beginning, but that doesn’t mean that you give up. Did you know that the average lifespan of humans is just 79 years? It’s up to you now if you want to beat those odds. So make sure that you follow the tips mentioned above – no matter how common, annoying, and taxing they may be – they’re still helpful, trust me. Don’t forget to stay happy, reduce stress levels, eat healthily, and sleep on time. Do let us know if you want us to write something else for you.